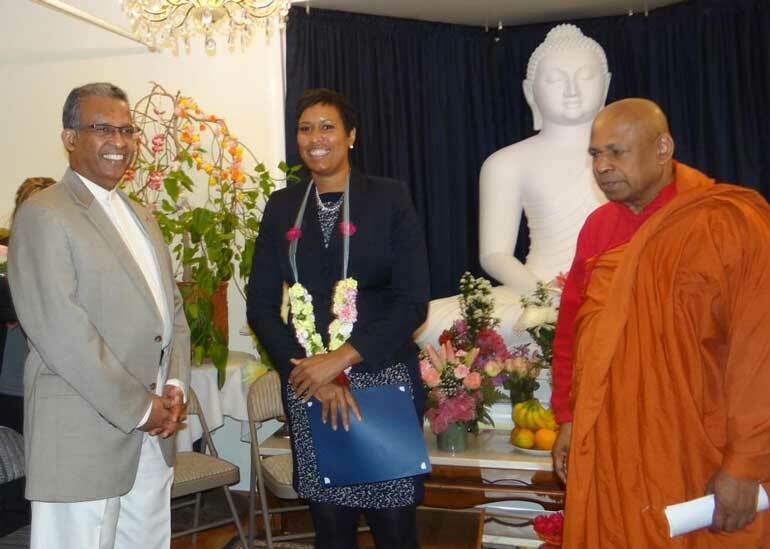 Washington Mayor Muriel Bowser attending the 50th Anniversary of the establishment of the Washington Buddhist Vihara on 1 May, declared the day as ‘the Washington Buddhist Vihara Day’, recognising in the Declaration that the District of Columbia is the home to the first Theravada Buddhist Temple in America and that the Vihara has been dedicated to presentation of Buddhism and extending welcome to all. Ambassador Prasad Kariyawasam joined Mayor Muriel Bowser on this occasion. 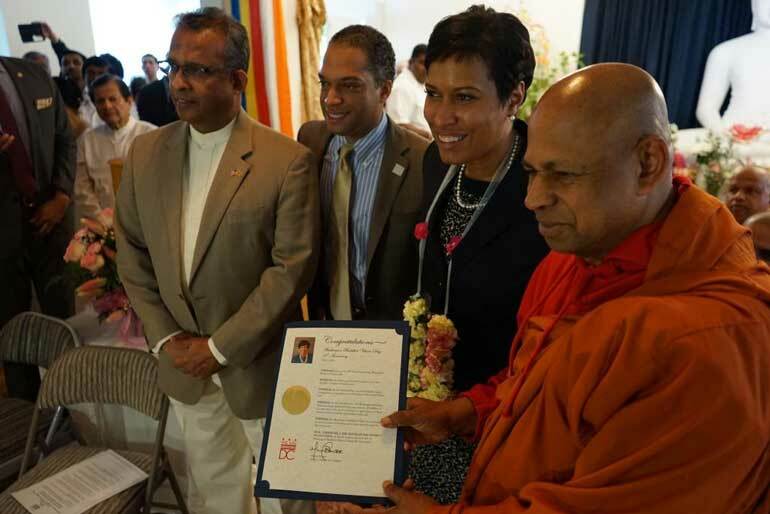 The Chief Prelate of North America and Chief Incumbent of the Washington Buddhist Vihara, the Most Venerable Maharagama Dhammasiri Nayaka Thero presided over the ceremony and conducted the religious program. 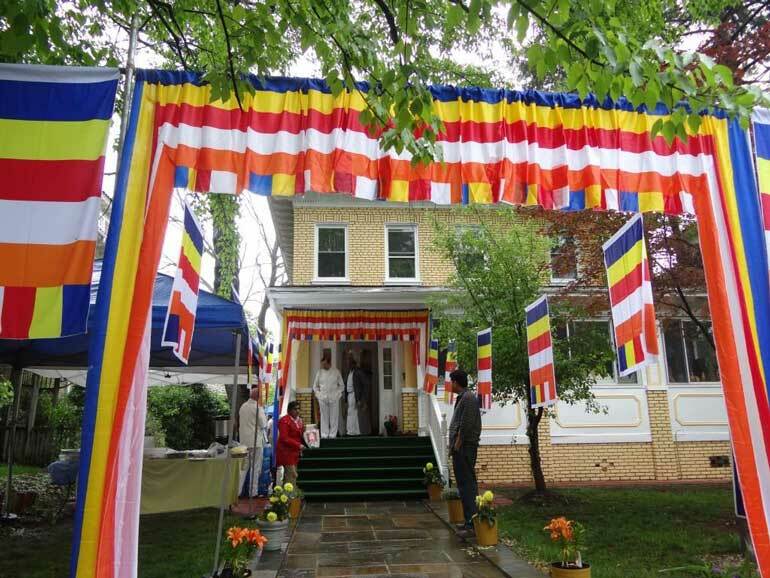 President Sirisena further said, “And admirably, the Vihara has become a centre for taking teachings of Lord Buddha and Buddhist practice to the wider American community as well. 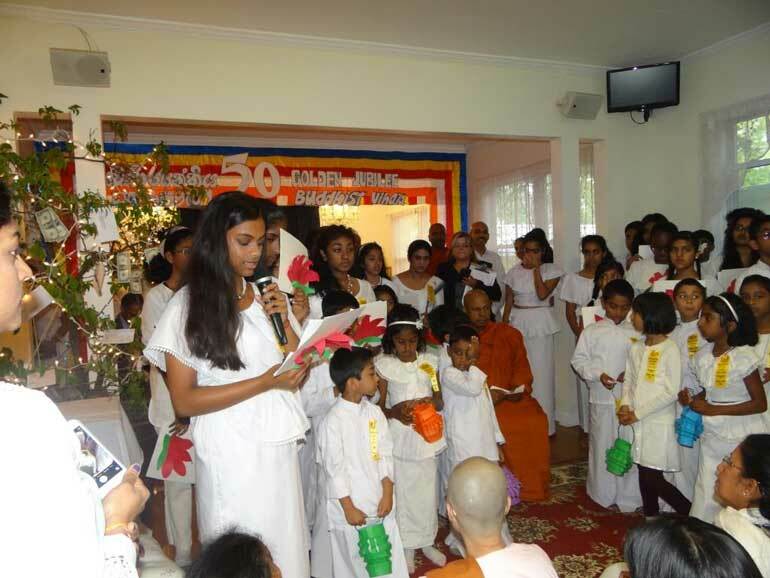 Sri Lankan Buddhist temples abroad function as a window to Sri Lankan culture and as a platform for socio-cultural interaction for those of Sri Lankan origin living abroad. I recognise the role that the Buddhist temples can play for wider socio-cultural harmony and for the upliftment of societies both at home and homeland. 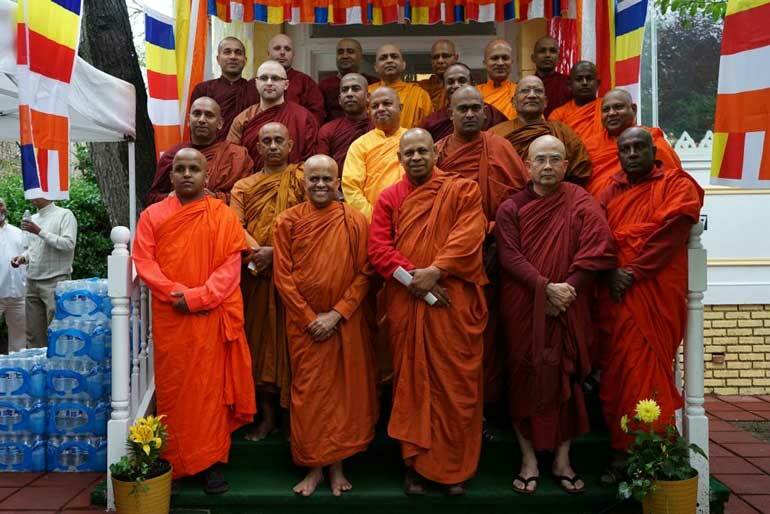 Venerable Buddhist monks from several temples in North America were present at the day-long celebrations, sermons and religious ceremonies attended by a large group of Sri Lankan-Americans, American Buddhists and other nationalities. Among those Venerable Theros present at the occasion were, Ven. H. Siriratana Nayaka Thero, Ven. K. Uparatana Nayaka Thero, Ven. Pasado Nayaka Thero, Ven. K. Dhammavasa Nayaka Thero, Ven. K. Nagitha Nayaka Thero, Ven. V.D. Vimalananda Nayaka Thero, Ven. K. Dhammaloka Nayaka Thero, Ven. P. Maithri Maha Thero, Ven. Vimala Thero, Ven. M. Saddhaloka Maha Thero, Ven. K. Vimaladhamma Maha Thero, Ven. T. Mahanama Thero, Ven. Vijitha Thero, Ven. U. Lankananada Thero and Ven. A. Mahanama Thero.